As we explained in a recent blog post on how to clean your hot tub, cleaning a hot tub doesn’t take as much time as you may suppose. In fact, if you follow some simple guidelines, you will only have to spend around 30 minutes a month to maintain your Bullfrog Spa in pristine condition. This informative infographic explains the simple steps to keeping your hot tub clean in only around 30 minutes a month. 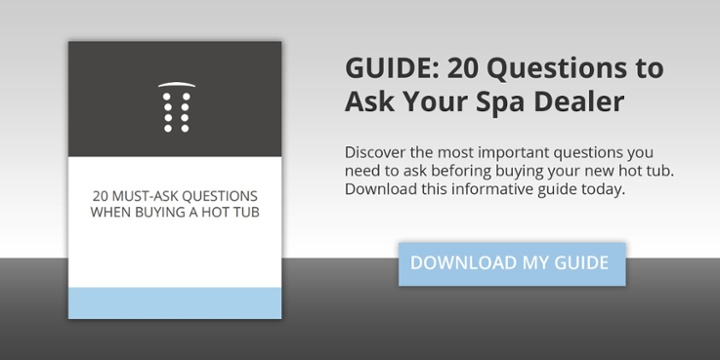 Interested in learning more about hot tub maintenance? Check out our other articles on hot tub maintenance. Copy and paste the following code to your site. Thanks so much for sharing your story! We couldn’t be more pleased to hear you’re enjoying renewed health and life. All the best to you and your family. Simply love our hot tub. I truly makes stay at home vacations possible. Thanks for your comment. We agree completely.